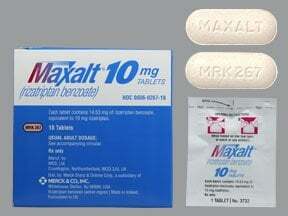 What conditions does Maxalt treat? List Maxalt side effects by likelihood and severity. Before using this medication, tell your doctor or pharmacist your medical history, especially of: blood circulation problems (for example, in your legs, arms/hands, or stomach), certain types of headaches (hemiplegic or basilar migraine), heart problems (such as chest pain, irregular heartbeat, previous heart attack), liver disease, seizure, stroke or "mini-stroke" (transient ischemic attack). What should I know regarding pregnancy, nursing and administering Maxalt to children or the elderly? Does Maxalt interact with other medications? 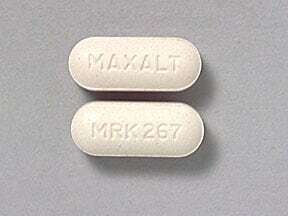 This medicine is a pale pink, oblong, tablet imprinted with "MAXALT" and "MRK 267". Are you considering switching to Maxalt? How long have you been taking Maxalt?